Patriot Oilfield Services believes that an effective Environmental, Health & Safety Program must be an integral part of our Company’s culture. The program is reviewed yearly and adjustments for improvement are made. The health & safety of our employees and protection of our environment are given prime consideration in Patriot Oilfield Services’ everyday activities. Patriot Oilfield Services is committed to training employees in safe work practice with an ultimate goal of eliminating any work-related injuries or illnesses. Employee health must be the prime consideration in every job assignment. All employees will be required to perform their job assignments in a safe manner. Our Safety Manual has been specifically developed to inform personnel of Patriot Oilfield Services’ minimum safety requirements. All policies and procedures are based specifically on known hazard exposures, regulatory requirements and industry safety standards. 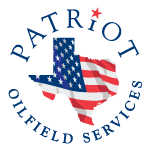 Patriot Oilfield Services is an active member of ISNetworld. Our safety programs comply with ISNetworld which allows us to be an industry leader in conformance verification. Patriot Oilfield Services not only trains employees on safety from their date of hire, we also have a robust competency program specific to each employee’s job. Employees get mentored until the mentor feels the employee is capable of performing that job or task. View our current job listings and download/submit an application here. For more contact us at 979-648-2416.